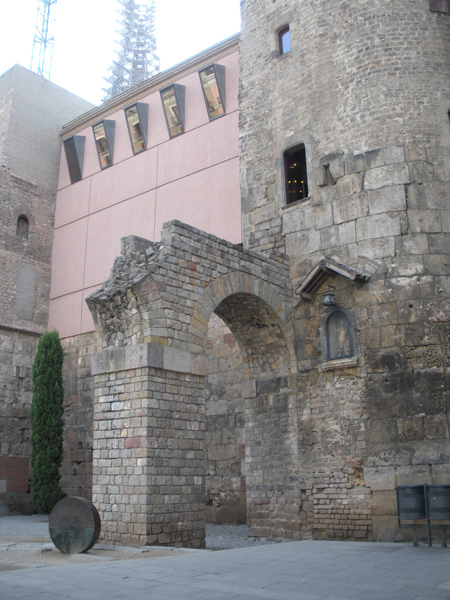 In Barcelona, Spain, in the fall of 2010. I had just spent the summer at home after studying abroad in England the previous semester, so I was a little nervous about spending more time away from my university, friends, and family. What was I going to miss while I was away? More than that, though, I was thrilled to be going back to Europe and excited for the challenges ahead. Instead of looking at it as something that would take me away from the familiar, I decided to view it as an adventure that I was fortunate to experience. Studying abroad in a foreign county is not just about the classes you’re taking, or trying to improve your language skills; it is about adapting your whole life to a new – and sometimes hard-to-understand – culture. I was struck by just how different life was in Barcelona. Sure, it had many of the features of any big city, but it also had its own, unique cultural heritage. My first reaction to the culture was to embrace it. 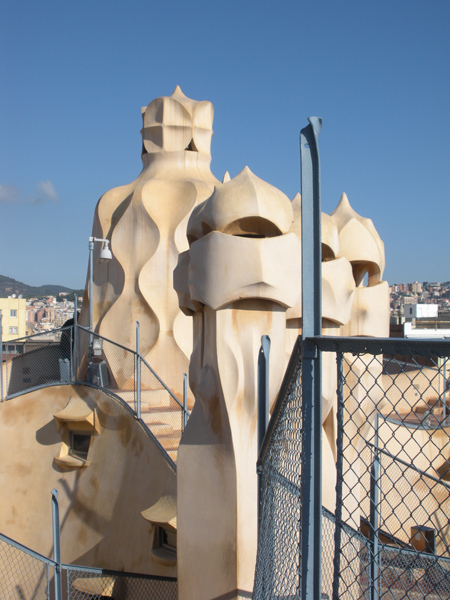 For about the first month or so I visited popular tourist sites such as La Sagrada Familia and Parc Guell. I happened upon cool bookstores, sat in cafés sipping café con leche, and traveled to other parts of Spain. I was letting go of my need to always be armed with a plan and was just living. I was having fun! And then, surprisingly (or unsurprisingly, depending on your familiarity with culture shock), all of a sudden I wasn't having fun any more. I was awakening from the dreamy version of studying abroad, and what I saw when I finally opened my eyes was the plain truth. 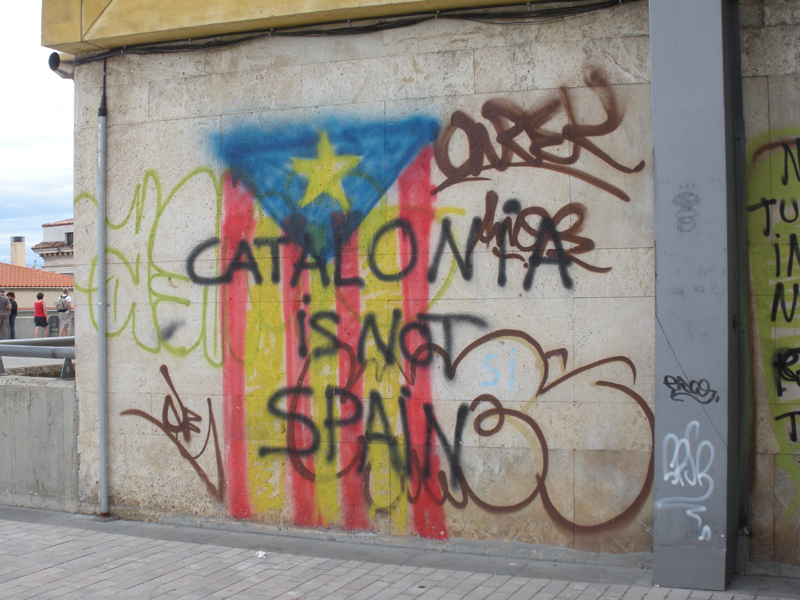 Barcelona was not perfect, all people were not always going to be nice, and my Spanish felt inadequate. And that was okay – eventually. It took a while to realize that my study abroad experience was not going to be perfect. Classes were getting progressively more intense, although still manageable. Sometimes I felt like everyone could tell I was an American, and that made me feel like an outsider. So for me, making my study abroad experience a success was a bit difficult. I learned that it was fine to not embrace the culture every minute of every day. Some days I would go see a movie in English or wear my Converse sneakers instead of the fashionable sandals most Spanish women wore. I even broke the cardinal rule of every traveler who tries to be a local: I entered (and thoroughly enjoyed) a Starbucks Coffee shop! I know, rebellious, right?! My experience turned out to be a success because I made it my own, and I grew to accept the city’s flaws along with its charms. You don't have to be alone to be independent. My approach to living in Spain was that it was a test to see if I could survive in a big city, speak a foreign language and get along without anyone from home. I often did things alone and it felt great. Unfortunately, it also meant that I missed out on sharing some of the most wonderful moments. My trip to Bilbao is a good example: I flew there to see the Guggenheim Museum and to catch a glimpse of Basque country. Fast forward to me on a bus en route to the museum, totally freaked out because I wasn't sure which stop was mine. When we stopped, I panicked and walked up the aisle to tell the driver I wanted to get off. I was speaking in broken Spanish, and he wouldn’t even acknowledge my presence! I got flustered because he wouldn't open the door for me… but finally he just looked at me and pointed out the front window of the bus – we were at a stoplight, not a bus stop! I nodded, swallowed hard, and snuck back to my seat. I felt all eyes on me – everyone had witnessed my bus stop faux-pas! As soon as we were at the next stop, I jumped out even though I was nowhere near the Guggenheim. Looking back I can acknowledge that this was a hilarious moment. I thank everyone on that bus who so kindly fought back the urge to laugh at my expense! I also realize that I probably would have laughed then too if I was with a friend. So my advice is to be independent – dance to the beat of your own drum – just don't always choose to go it alone – sometimes it can get lonely. I was ready to go back home by the time the semester ended. It was the holiday season, and I missed the good ‘ole USA! But I was also apprehensive about returning because I had learned so much and wanted others to recognize that I had changed. School felt a little more difficult because I was taking several challenging classes, but I was so happy to see my friends and family. Since studying abroad, I have become even more obsessed with traveling. I love reading books about other people's travels. I think it is interesting to read about the challenges and funny moments that give color to people's journeys. What are your future plans for career and travel? I definitely see traveling overseas as a part of my life. There is just something so alluring about being in a different culture and meeting new people, whether it is for a vacation or for a semester in college. It makes me feel like I am truly living. I would like to be a Study Abroad Advisor at a university, so I definitely would like to develop knowledge of different types of study abroad programs and how to plan and oversee group trips. Along with that, I would like to learn more about the countries I would be advising students/faculty to visit, and perhaps travel there so I could give accurate, first-hand information and advice. Ashley articulates her experience of entering into and adapting to a foreign culture very well – from the initial euphoria to the onset of culture shock and beyond. She’ll make a great study abroad advisor because she can articulate the problems that one encounters, and the best ways of getting past them. We’d recommend that Ashley spend more time abroad, or plan to pursue a master’s overseas to further develop her cross-cultural experience. We’d also suggest that she go somewhere outside of Western Europe in order to expose herself to a new region of the world – perhaps South Asia or South America. The more programs she participates in, and the more regions of the world she becomes familiar with, the better advice she’ll be able to give as a student advisor. Ashley could also consider teaching English abroad as a means of building experience in a foreign culture, while earning money and developing skills dealing with students, parents and the school environment. With every trip she takes abroad, Ashley should also take note of the cultural differences she encounters, and how they relate to North American norms. Being able to compare cultures and describe their various traits and differences is an extremely valuable and sought-after skill, especially for someone in an internationally-oriented position. To read about how teaching English abroad can boost your career potential, read Teaching English As a Stepping Stone to Your International Career. Reading all five articles in The North American Identity section will help you start to think about North American workplace culture in an international context.